Last week Pantone announced that Tangerine Tango is their Color of the Year. 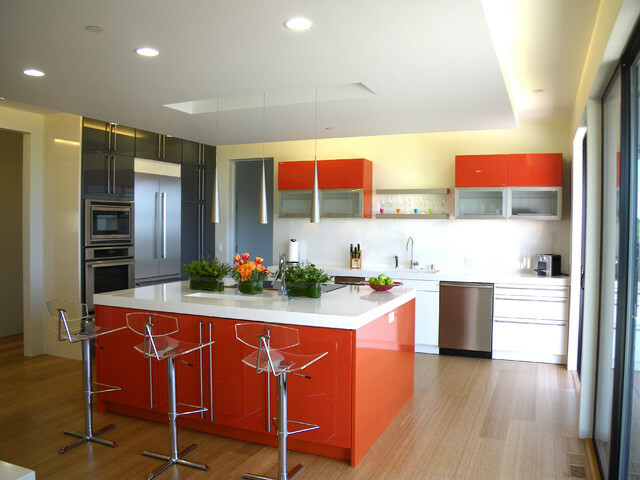 I love this kitchen that has used the orange for the accent color on their cabinets. How do you think this will translate into kitchens and baths?